The updated remote has a built-in microphone for searching with your voice. 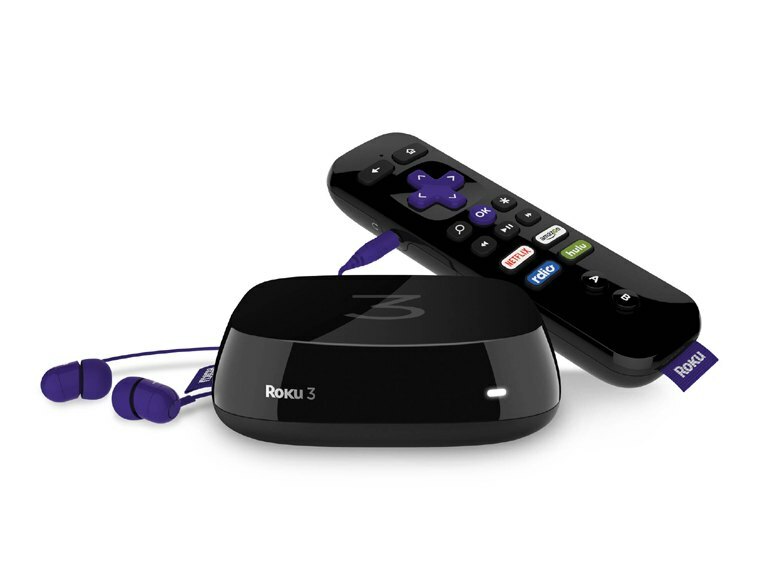 The Roku 3 is a platform-agnostic set-top box with more streaming apps than most competitors and no favoritism. The remote has a headphone jack for private listening. If you don't need voice search or a headphone jack in the remote, the updated Roku 2 gets you a similar experience for less. The first thing you'll need to do is connect to the Internet and update the firmware. If you don't have an active Internet connection, you can't even access the menu. 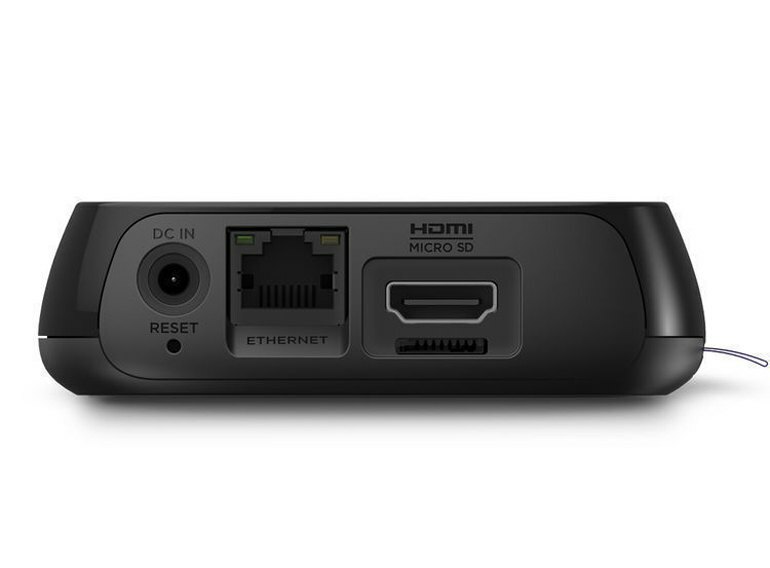 You need to supply your own HDMI cable to hook the Roku 3 to your TV. 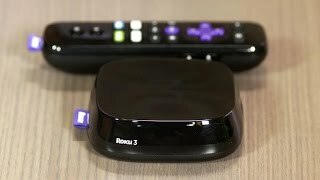 The small, speedy Roku 3 is a streaming set-top box that doesn't suffer from platform favoritism. All the major streaming apps--including Netflix, Hulu Plus, YouTube, Amazon Instant Video, Vudu, Sling TV, and HBO Go--are treated equally. Roku updated the 3 in 2015 to include a new remote with a microphone and headphone jack, so you can use your voice to search for titles and plug in a pair of headphones if you want to watch something without disturbing others. The rolly-polly, sausage-like remote is stuffed with extras. It's much chunkier and looks a bit dated dated next to the Amazon Fire TV, Apple TV and Google Nexus Player remotes, but still feels natural in the hand. Down the road, it’d be nice if Roku committed more to controlling the set-top from a phone or tablet, as Netflix and YouTube are the only third-party apps that can cast video to the big screen. It's a bit of a pain because it forces you to connect to the internet to update the firmware before you can even get into the menu. 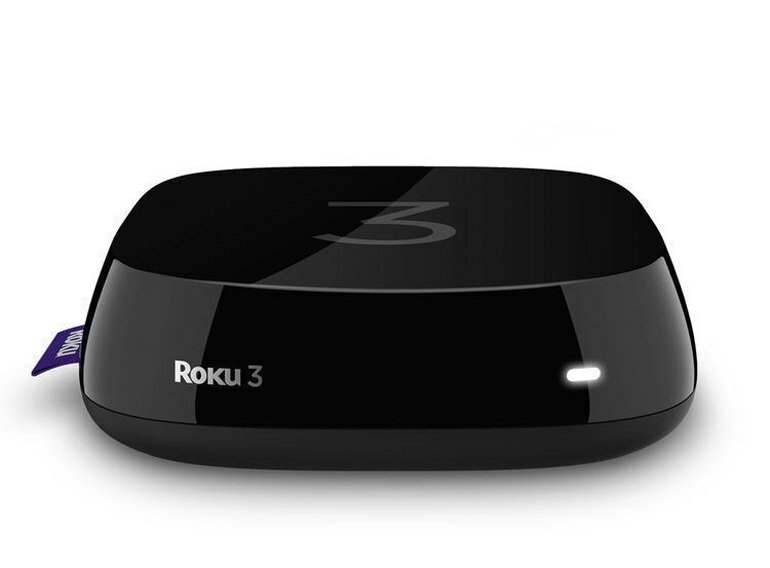 This means if you don't have an active internet connection you will not be able to use the Roku 3 even for offline tasks. 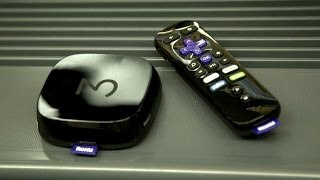 The Roku Channel Store offers a comprehensive selection of streaming media services, with all of the major players present including Netflix, Hulu Plus, YouTube, Amazon Instant Video, Vudu, Sling TV, and HBO Go. The Roku 3 has rounded corners and invites the hockey puck analogy, much like Apple TV. Roku Feed is the main difference between Roku's old interface and the new one. 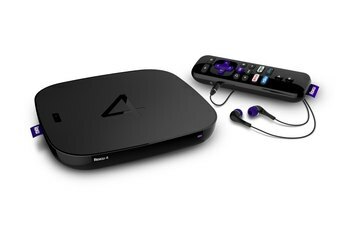 It's designed for all of Roku's devices, including its Streaming Stick, and is meant to alert you when new content is available to watch on a Roku channel. The big story here is voice search via the included remote, and there are two ways to do it. You can press and hold the search button, speak into the remote, and then release the button. Or, simply press and release the button, speak into it, and then stop speaking. Pressing the Netflix or Amazon Instant Video shortcuts on the included remote instantly brings up the corresponding app, not the logo and a loading animation as you might see on other set-top boxes. I own many different streaming players, and a cable TV box, but I would say that >90% of the time my TV is turned on, it is tuned to the Roku 3. The remote control it comes with is pretty cool, the build quality is nice, it is motion sensitive and you can play Angry Birds with it, and you can plug headphones into it if you want to watch TV without disturbing others, but I leave it packed away because I have the Logitech Harmony Smart Control universal remote which works perfectly with the Roku. 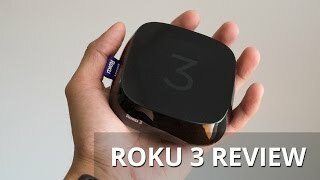 One thing that the Roku 3 excels at that I found lacking with other players is the responsiveness of the user interface. I would always get frustrated with how slow the AppleTV took to go between menus. The Roku is very fast, and the interface is laid out very well. There are plenty of channels that you can add to the Roku, the ones I use the most are Netflix, Hulu Plus, and YouTube. If you are on a laptop you can even send videos from the YouTube website to your TV which is fun when you have guests over. 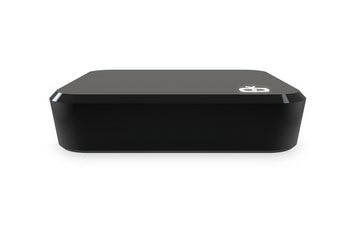 The best channel would be Plex, which can play videos stored on your computer over the network. This little piece of majestic engineering contains within it the power to save you … or destroy you. Either way—you’ll love it! -2,000+ channels including Netflix, Hulu, Amazon Instant Video, and all the other amazing apps that will delight you and simultaneously devour your faith in humanity. I personally enjoy Horoscopes by Kelli Fox. 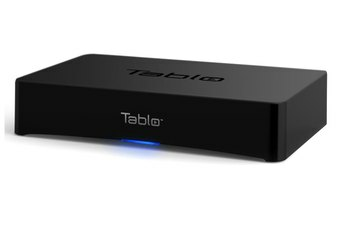 -Wi-fi control so you no longer have to point your remote at the Roku (great news for folks with sore arms from sitting). -You can download the Roku remote app for your smartphone for when you inevitably lose your remote to the dark void of your sofa (read: irritated boyfriend’s hidden lockbox). -The remote also serves as a kiddy game controller for playing games like Angry Birds (your boyfriend is conspicuously good at this game). -Said remote comes with a headphone jack so you can listen to audio via headphones and stop driving your soon-to-be ex-boyfriend over the edge as he tries to sleep, contemplating coming to terms with his Roku addict of a boyfriend. 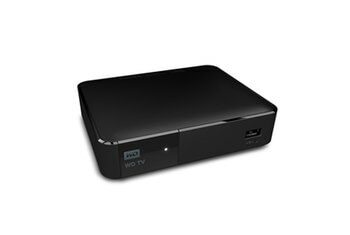 -Search by using your voice to command the Roku to do your bidding. It has no choice but to obey. And it obeys well. Now feed your Stockholm syndrome and go forth to consume everything the best streaming device has to offer. Or else. Friendly box with convenient headphone plug in the remote, but I prefer the Apple TV over Roku. While Roku offers a long list of content partners, in most cases it is nothing that I care to watch. This is probably because I have very limited time for television--just a few hours each week--and I tend to reach for the most premium of the premium content, which is going to require a subscription to any of the major players. Apple TV will work with many of them (not Amazon Prime) just fine. The reason I bought the Roku was for Amazon Prime video, but I find myself not really caring enough to switch inputs from my Apple TV. The other services that I subscribe to do well enough that it isn't worth switching. The games that Roku offers are intriguing but not going to hold my attention for very long. I'll go with Apple TV for the convenience of AirPlay and stick to that.